Built with the latest technology Pickwell Rapier Loom is designed to best fit the weaver’s needs. The machine developed has a rigid structure which allows the process of weaving to be carried out with fine precision and accuracy with reduced vibration. 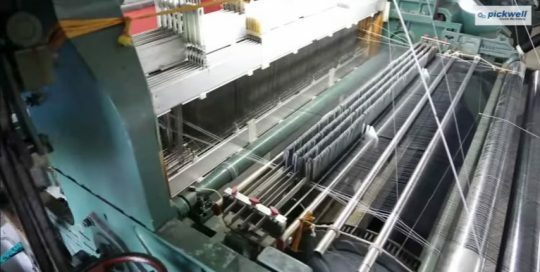 Pickwell Rapier Loom can be used to weave crude fiber (Cotton, Wool, Silk, Glass fiber), chemical fiber along with blending yarn. Pickwell provides six color weft selections for exchanging color per weft in addition to being much faster compared to shuttle looms and provides improved unit area output and fabric quality.